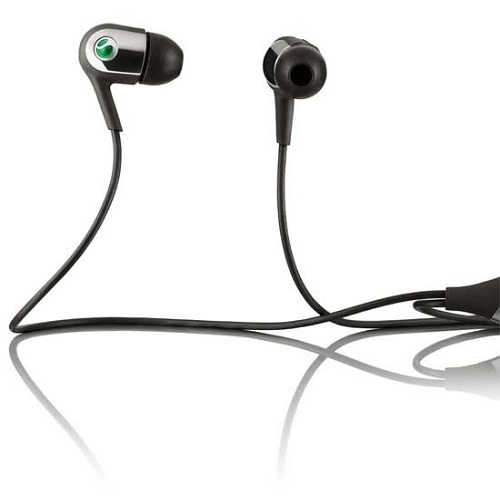 Sony Ericsson Announces New Motion Activated Earbuds | OhGizmo! By Chris Scott Barr on 09/22/09 • Leave a comment! You don’t exactly see a lot of innovation in the world of earbuds. Sure, a company might make some that sound particularly awesome, or feel a little more comfortable than others. Heck, in-line controls are probably the most advanced thing you’ll see these days. Well Sony Ericsson has created a new technology which they hope will revolutionize the way we use earbuds. Sony Ericsson’s new MH907 earbuds allow you to control your music in a very unique way. Just pop in both buds and your music will automatically start playing. Take one (or both) out, and the song will pause. If you get a phone call, insert one of the buds to answer, and take it back out to hang up. The features only work with skin contact, so you don’t accidentally answer your phone while the earbuds are in your pocket or anything. The MH907 earbuds are a little expensive (depending on the quality, as I’ve seen some pretty pricey high-end ones) coming in at $55 when they go on sale later this week. The biggest pitfall I see is that you’ll need a Sony Ericsson phone with a fast port connector in order to use these. Hit the jump for one of the craziest commercials I’ve seen in a little while, depicting these earbuds.